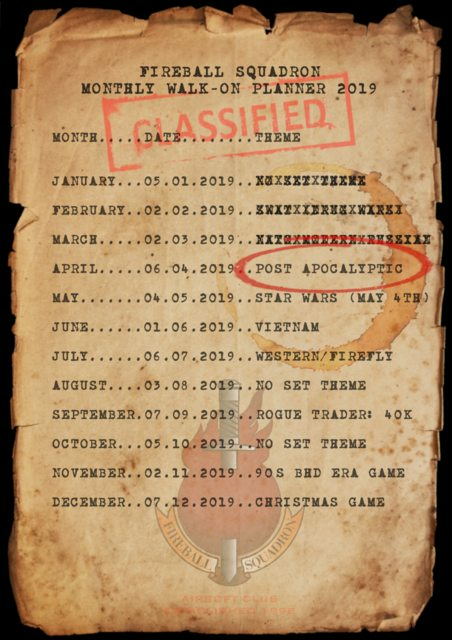 Fireball Squadron is an airsoft site and club of 40+ members that play airsoft, themed airsoft and historical, futuristic and modern military re-enactments. 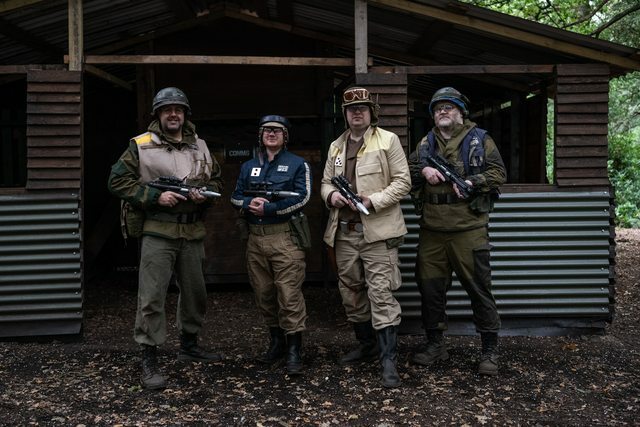 Established in 1998 by Ken Elston and Mike Mansel, we look to improve the airsoft gaming and re-enactment experience by continual investment in our sites and our mix of both traditional and new games. Fireball Squadron and its members aim to promote airsoft as an accepted and recognized leisure activity through safe and fair play. Visitors are especially welcome. We have trained first aiders on site and a full Health and Safety Policy. Fireball squadron is proud to be a full member of the UKASGB. Full membership was granted on November 12th 2003. Walk On price for non-members is £25.00 and for members is £20.00. Please note, no lunch is provided but we will have freshly made sandwiches on sale at £2.50 each. Fireball is pleased to announce that as of the 1st of April (no it's not a joke) we will be reducing the minimum age to attend our games to 14 years. Children under 16 must be accompanied by a parent or guardian that will be responsible for them during the day. Children under the age of 16 must wear a full face mask during games. Fireball Walk On Game 03-02-18 Heartbreak Fridge from Bazinga Films on Vimeo. 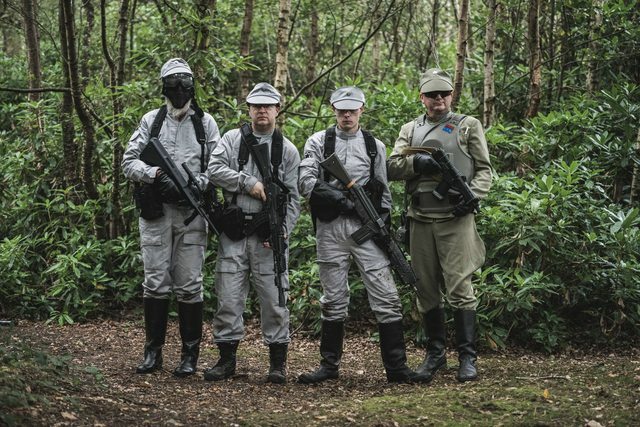 Fireball Squadron Airsoft Club Intro Video from Bazinga Films on Vimeo. In 2017 Fireball Had a UK/European first? Fireball Intro Video from Bazinga Films on Vimeo. STAR WARS GAME PART 1 fire_version 1080p from Bazinga Films on Vimeo. HPA - While we have no plans to ban HPA, we do NOT allow recharging from 'divers bottles'. Please do not bring divers bottles to the site. TAG ROUNDS - only timed, smoke or inert rounds are permitted. No impact rounds. Tag rounds are to be used for indirect fire only or for taking out an objective such as a cannon or vehicle. Anyone that fires a TAG round at another person, even by accident, will feel the wrath of somebody ferocious. Two tone guns - A polite reminder. Two tone guns should be covered with scrim netting or tape while in use at Fireball.